In her introduction to this week’s travel theme, Ailsa, from Where’s My Backpack referred to Henry Thoreau’s ‘Walden’. I was delighted to be reminded of this contemplation on simple living after so many years. I recall reading this many years ago as a student and remember thinking at the time that it was rather self-indulgent and tedious. Even though I am much older now and hopefully wiser, and definitely more opinionated, I still think this is the case. As for the theme, simplify, this is something that we should all reflect upon from time to time. Time spent at Wilson’s Promontory, Victoria, Australia gives the visitor time to live simply, walk, enjoy native flora and fauna and beautiful rock formations like the one below. 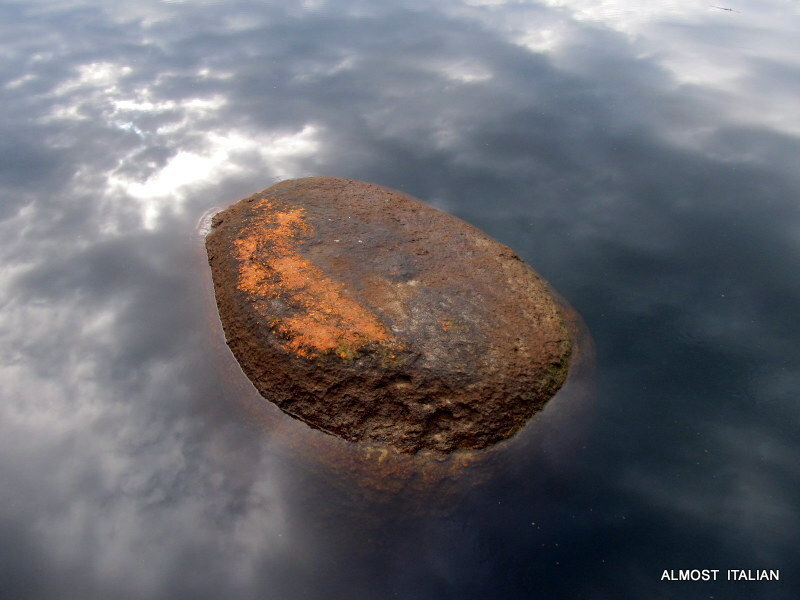 A Rock in Tidal River, Wilson’s Promontory, Australia. What an amazing image Francesca! It certainly exemplifies the theme as well. Wonderful…love the reflections and the thought of simplification. At first sight I thought it was a meteor hurtling to earth!! With the reflected sky, it’s a wonderful perspective. Thankyou, but everything looks like magic at the prom. Bella foto, Francesca. Il masso sembra quasi galleggiare e perdere il suo peso. Sì, sospesa nel cielo o acqua, un strano foto. Grazie Stefano. I did see something like this in a plane over the islands of Indonesia. But this rock is quite small. It does indeed. A lucky accidental shot. Love that shot Francesca. And thanks for Where’s my backpack. I think ‘wheres my backpack’ is a wonderful platform to showcase a few travel snaps. I encourage you to join the fun: your shots are always excellent. Next Next post: Garden Monthly. August 2014.